Janeesa found the app I’ve been hoping would get made!!! It’s an Android app and is free. 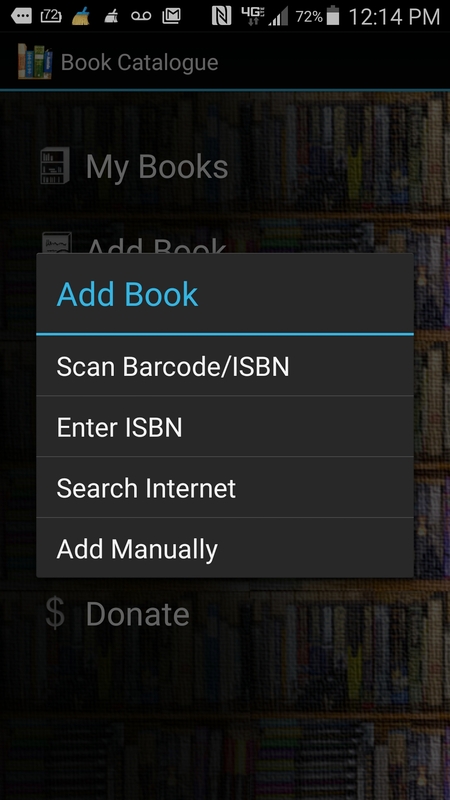 I can enter my books from my home bookshelves manually or by SCANNING THE BARCODE ON THE BACK!!! I am soooo excited to do this!!! I chose “Add Manually” the first time. Don’t do that. Use “Scan Barcode” (you do have to download a barcode scanner, but the app itself directs you to two free ones that are easy to use). 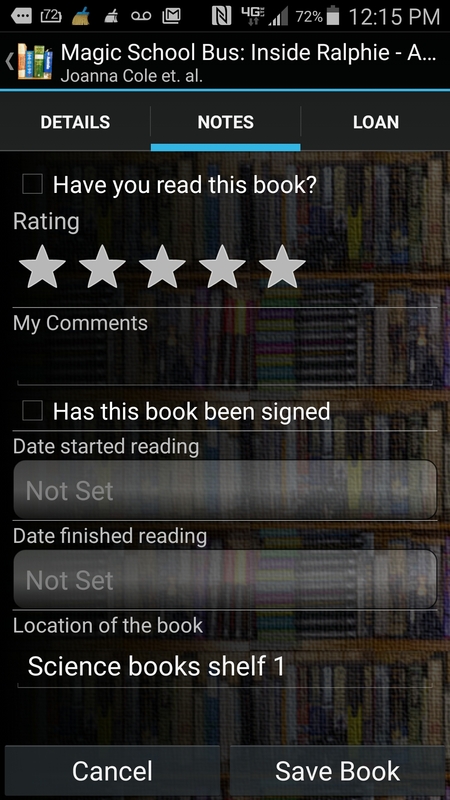 I scanned the barcode on the back in under three seconds, and the app had the book with all this info in a matter of five more seconds! 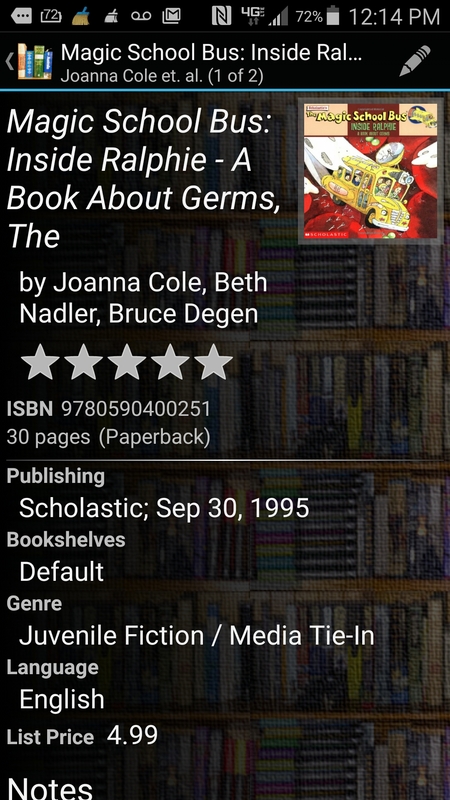 I worked in a library twenty years ago, and we couldn’t load books this fast using the handheld scanner and software. Technology constantly amazes me!!! 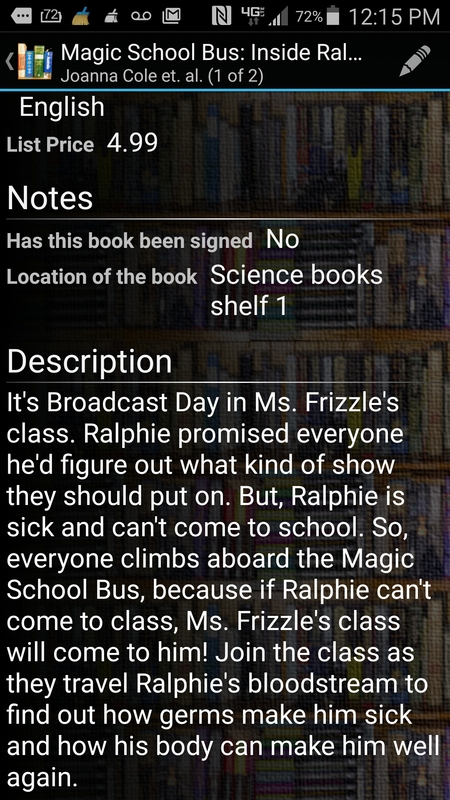 Look at all that info I had at my fingertips in just SECONDS! Then, I clicked the “Notes” tab (top middle of the screen below). There, I was able to add the shelf where I am storing these books. I cataloged 22 books in under ten minutes, and it only took that long because I had to use the “Search Internet” feature for three (two had ripped covers on the ISBN so they wouldn’t scan and one had no cover; it was a garage sale find for a nickel). 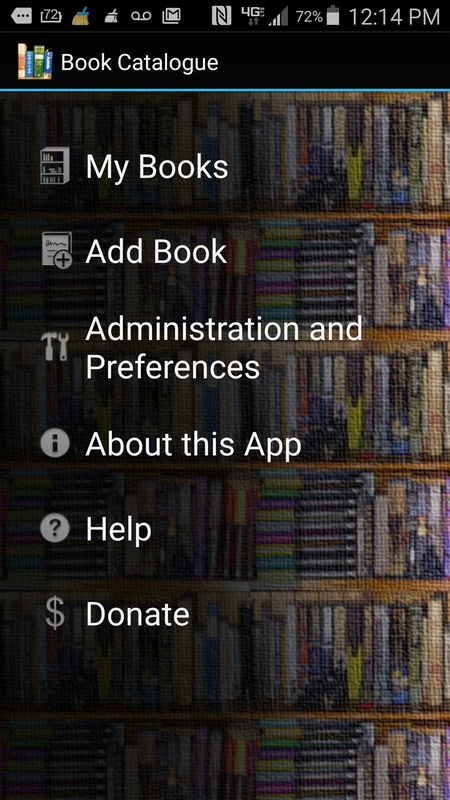 This app is so easy to use that I’m going to have Jake scan one shelf of books at a time over the next few days. 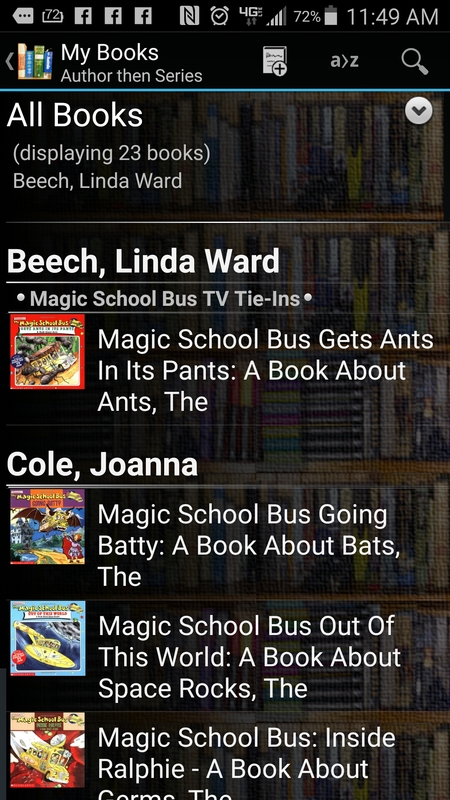 I also love that I can sort by author, titlw, series, and genre. There’s also an option to export this to Excel. For a free app, this is amazing!